Raw sprouts are full of nutrients and cooking may reduce the amount. Mung beans in the process of sprouting. Raw sprouts are the young, uncooked shoots of any number of edible plants. Depending on the type of plant, sprouts are usually harvested after being allowed to grow between one and two weeks. 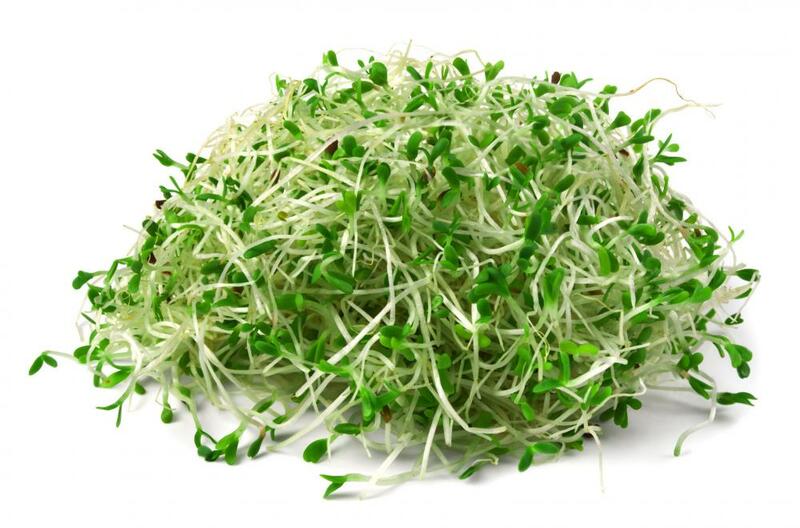 Known to be packed full of nutrients, raw sprouts are often touted for their health benefits. Despite the positive health effects of eating sprouts, they are a common culprit in large scale epidemics of food borne illness and have been responsible for many deaths throughout the world. Some of the most common types are from plants that are commonly eaten. Broccoli, onion, pea, and bean sprouts are often consumed raw in salads or on sandwiches. Edible plants that are not often consumed when mature, such as alfalfa, sunflower, and clover are also commonly eaten in sprout form. Not all food plants can be eaten in this form, however. All members of the nightshade family, including tomatoes and potatoes have toxins in their stems and leaves, and the sprouts of these plants are not safe to consume. 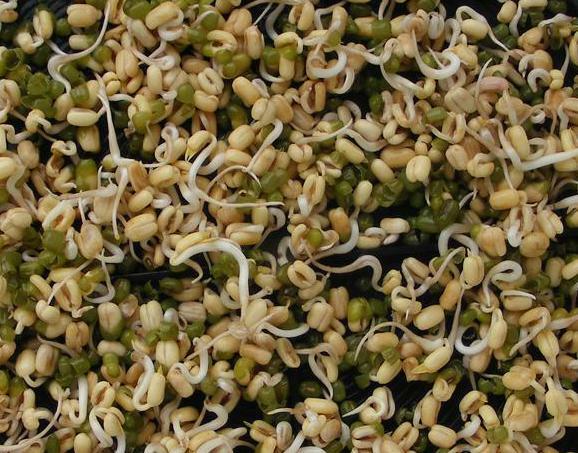 Growing raw sprouts consists of placing seeds in a shallow water bath or on top of soil. The seeds are placed on top of soil, as it the sprouts to be easily harvested. They are often grown in the dark because this encourages the plant to put a significant amount of energy into growing tall in search of light, producing larger sprouts. Sprouts are harvested before their first set of leaves fully develops, at which point they are known as shoots. In many cases, raw shoots can be consumed in the same way that raw sprouts are. There are many health benefits to eating raw sprouts. They are full of the nutrients required to start a seed on its journey into a fully grown plant, many of which can be readily digested and used by humans. While there are still many nutrients in cooked sprouts, cooking can destroy some of them. Despite their health benefits, there are some problems with eating raw sprouts. Many nations, including the United States, warn against consuming any amount of raw sprouts, especially in the case of young children, pregnant women, and those whose immune systems are compromised. It is not possible to remove the microorganisms responsible for food borne illness, especially Escherichia coli, from raw sprouts, and outbreaks of this bacterial infection have been linked to sprouts a number of times. What Are the Best Tips for Growing Bean Sprouts? How Do I Choose the Best Alfalfa Sprout Seeds? What Are the Best Tips for Cooking with Sprouts? What Are the Pros and Cons of Eating Sprouts? What Is the Connection between Sprouts and Salmonella?